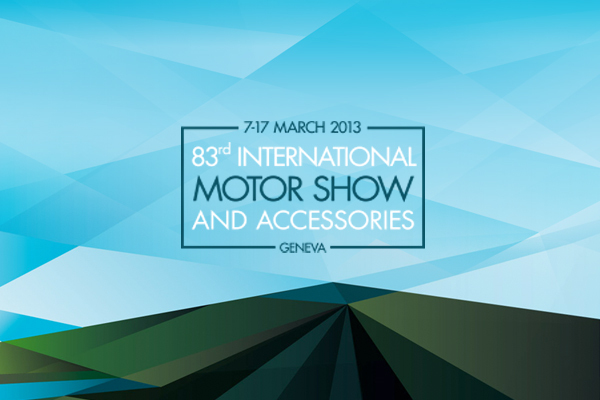 Home › Press Room › News › Magneti Marelli: components and technologies on the previews presented in Geneva. The Alfa Romeo 4C features plenty of Magneti Marelli technology, starting from the round-shaped LED rear lights that give the car its peculiar look and provide a strong and elegant reference to Alfa Romeo’s typical design, consistent with the concept presented in Geneva 2011. The exhaust pipe gives the car its characteristic sound. In this case, Magneti Marelli worked together with Alfa Romeo using specific technologies in order to reproduce a sample sound chosen by the carmaker, in line with sporty image that characterize the brand. Magneti Marelli technology for shock absorbers too, and in the Powertrain area, for the ECU (Electronic Control Unit) and the electro-hydraulic actuators of the Dual Clutch transmission. The Maserati Quattroporte presented as a world preview in Detroit and as a European preview in Geneva employs Magneti Marelli lighting technologies with LED rear lights that contribute to giving the car its unmistakeable look. Magneti Marelli also contributed in the Powertrain and Electronic Systems area. Specifically, the high pressure GDI pump for 3.0 V6 and 3.8 V8 gasoline engines equipped with twin turbo allows for high power to be obtained with low fuel consumption and reduced emissions. The instrument cluster, also new, features the carmaker’s traditional logo of Neptune’s Trident, which now looks even more modern thanks to the addition of a large multifunction display placed between two circular instruments, the rev counter and the speedometer. Moreover, as already announced, Magneti Marelli contributes to the HY-KERS system fitted on the first hybrid Ferrari ever: LaFerrari. Magneti Marelli supplies two electrical motors and various strategic components for electronic control, including inverter and battery control. Magneti Marelli’s technology dedicated to LaFerrari also in the Lighting area (high-intensity Bi-Xenon headlights, LED rear lights), Powertrain (throttled body) and Electronic Systems with ten electronic control units dedicated to controlling the standard vehicle functions. LaFerrari also fits the Superlift system developed by Magneti Marelli, which uses hydraulic actuators to lift the car so that it can easily go over speed bumps and other irregularities in the road surface. Important debut for the new Chinese brand Qoros. The Qoros 3 fits an instrument cluster produced at the Magneti Marelli plant located in Guangzhou, China. Magneti Marelli’s instrument clusters can also be found on the renovated Scenic range, with a Magneti Marelli reconfigurable instrument cluster made with TFT (Thin Film Transistor) technology, available on all versions. Lastly, world première for the Volkswagen Cross up! too, featuring a Magneti Marelli instrument cluster (and throttled body for the 1.0 SRE version). In the Lighting area, Magneti Marelli technologies can be found on the Audi S3 Sportback, which uses LED rear lights, and on the BMW Series 6 with Xenon headlights equipped with AFS (Advanced Frontlighting System with adaptive Xenon headlight). LED rear lights on the BMW Z4, Jeep Grand Cherokee CRD 3.0 V6 the Volkswagen Golf too. The headlamps and rear lights component has an increasingly strategic impact when it comes to safety, emission reduction and car design. In fact, these components contribute significantly to creating the identity and fame of the brand, both during the day and at night. The innovative multimedia Touchscreen infotainment system fitted on the Peugeot 208 launched on the market in 2012, and presented in Geneva 2013 in the 208 HYbrid FE version, will also be assembled on the new Peugeot 2008 and 2008 HYbrid Air. The Touchscreen is a modular device that plays music and displays photographs, while its most advance version also provides Internet connection through a USB key. Connected to the CAN network of the vehicle, it represents a diagnostic HMI interface with the chance to display information on the vehicle and on navigation through a 7” high-resolution (800x480 pixel) touch-screen. Bluetooth 2.0 connectivity ensures hands-free control of up to 5 mobile phones. As for the traditional supplies, Magneti Marelli’s extensive presence also includes Powertrain technologies with throttled bodies on the Seat Leon SC and ST 1.2 TSI and 1.4 TSI, which also fit Magneti Marelli exhaust systems, and the throttled body on the updated Skoda Octavia Wagon 1.2 TSI and 1.4 TSI, also equipped with AFS High Intensity Discharge Halogen headlights.